Motorola is teasing the launch of new smartphones on August 2, and it might launch the Moto One Power, whose images were leaked in a separate report. 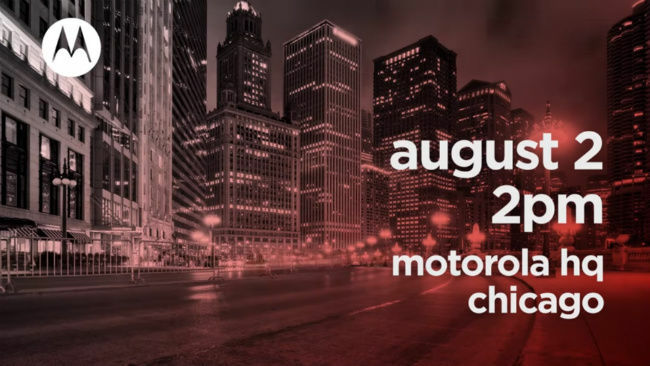 Motorola is gearing up for a major announcement at 2 PM (12:30 AM IST) on August 2 at its Chicago HQ. The company has not revealed what to expect at the event, but going by its statements sent out to media outlets, it promises to reveal a “whole new way to connect, stream, download, video chat, and more” along with a “big announcement,” which is said to “change the way people use and interact with their phones.” It is speculated that Lenovo might unveil its Moto Z3 and the Moto One Power smartphones at the event. As per an AndroidHeadlines report, there’s another smaller variant of the Moto One Power handset dubbed the Moto One. As per the report, it’s not clear if the Moto One is smaller than the Moto One Power in terms of display or the form factor. However, as the ‘Power’ moniker suggests the presence of a bigger battery on the larger variant, while the regular Moto One could be equipped with a smaller battery. There is also an image comparing the two smartphones side-by-side and judging by the image, the phones will look quite similar. Both smartphones feature a similar ‘notch’ screen with an edge-to-edge display, but the bottom chin on the Moto One is visibly larger. The rear panel is quite similar as well with a centrally placed Motorola logo, which could double as a fingerprint sensor. There’s also the Android One branding at the bottom. However, the design of the dual-camera is dissimilar. Further, while the Moto One is tipped to sport a glass back, while the One Power features a metallic rear panel. 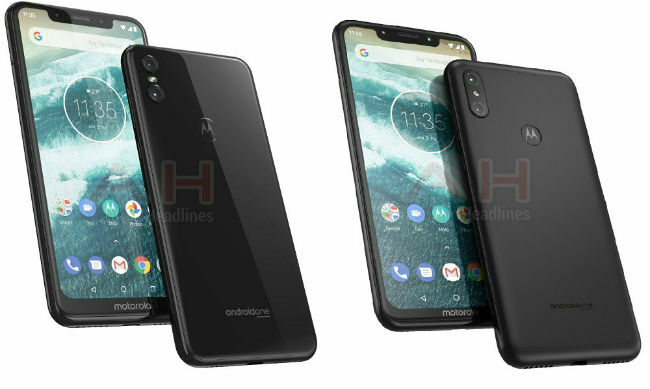 The new leak comes a couple of weeks after a report that revealed some specs of the rumoured Moto One Power smartphone. As per the leak it may feature a 6.2-inch Full HD+ display with an 2280 x 1080 pixel resolution. It could be powered by Qualcomm’s Snapdragon 636 SoC with 4GB RAM and 64GB of internal storage. As mentioned above, it is expected to be a part of the Android One program with stock Android 8.1 Oreo onboard. It is also said to pack a 3780mAh battery. In the camera department, the phone might sport a 12MP + 5MP dual rear camera with f/1.8 and f/2.0 aperture lens respectively. On the front, it could feature an 8MP sensor with a f/2.2 aperture.